U.S. Ambassador to South Korea Mark Lippert leaves Sejong Center for the Performing Arts in downtown Seoul, South Korea, after the attack. North Korea is calling an attack on U.S. Ambassador to South Korea Mark Lippert by a knife-wielding political activist "deserved punishment" for America's joint military exercises with Seoul. Meanwhile, Lippert, who has received stitches to his face and undergone surgery on his arm after the assault, says he is "doing well." NPR's Elise Hu, reporting from Seoul, says South Korean nationalist Kim Ki Jong was subdued and is now in police custody. Lippert was shown immediately after the attack clutching his bloodied cheek and with blood on his hands. He received 80 stitches to close the gash on his face. "I expect he'll be back on his feet and in his job as soon as possible," Deputy National Security Adviser Ben Rhodes told MSNBC in an interview. The attack took place Thursday at the Sejong Center for the Performing Arts in central Seoul, where Lippert, 42, was scheduled to give a speech on "peace, unification of the two Koreas and the prospects of Korea-U.S. relations," according to Korea JoongAng Daily. The newspaper says: "Lippert was attacked when he was starting to eat the first course of his breakfast and before his speech, said Saenuri lawmaker Chang Yoon-seok, who was seated next to the ambassador. Kim, who was seated at a distant table, approached and started slashing, Chang said. Lippert was talking about his son, who was born in Seoul in January." The North's state-run Korean Central News Agency said the attacker had delivered a "knife shower of justice." The State Department spokesperson strongly condemned the attack, but says a motive is still unclear. The spokesperson promised a full investigation. South Korean President Park Geun-hye called the incident "an attack on the Korea-U.S. alliance" and said her government "is taking all necessary measures, including a thorough investigation and reinforced security." The Associated Press notes that the 55-year-old attacker "is well-known among police and activists as one of a hard-core group of protesters willing to use violence to highlight their causes. Such protesters often speak of their actions in terms of a war, of a struggle to the death." The New York Times adds that Kim "told reporters that he had attacked Mr. Lippert to protest the annual joint military exercises that the United States started this week with South Korea." The newspaper says: "Some left-leaning activists in South Korea have criticized the exercises, saying that they raise tensions with North Korea and hamper reconciliation efforts on the divided Korean Peninsula. North Korea has also condemned the exercises as a rehearsal for invasion, though both Washington and Seoul have said the drills are defensive in nature." A statement released by State Department Deputy Spokesperson Marie Harf says U.S. law enforcement is coordinating with South Korean authorities to investigate the attack. "We cannot speculate on a motive at this time," Harf said. "The U.S.-ROK alliance is strong; we will not be deterred by senseless acts of violence." Nearing the conclusion of a week-long trip to Asia, Gov. Jay Nixon Thursday announced trade agreements with Taiwan and South Korea totaling $1.9 billion in Missouri goods for the next four years. Nixon says Missouri farmers will feel a positive impact from these arrangements, noting that the state’s corn and soybeans are recognized for their quality, and that Missourians can deliver the quantities within these agreements. In June, Global Journalist producer and MU graduate student David Cawthon traveled to Seoul where media professionals gave a glimpse of it’s like to report within the shrouded borders of North Korea. 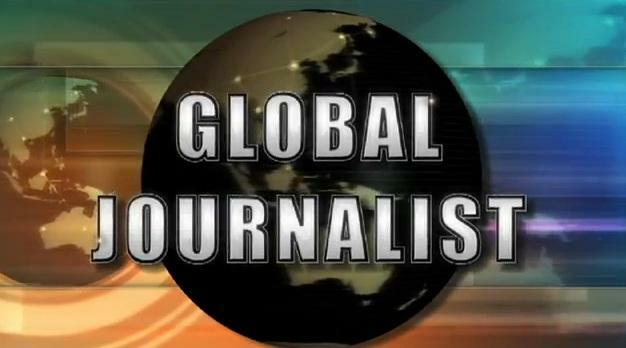 He joined Global Journalist to discuss what journalists revealed about one of the world’s most secretive nations.